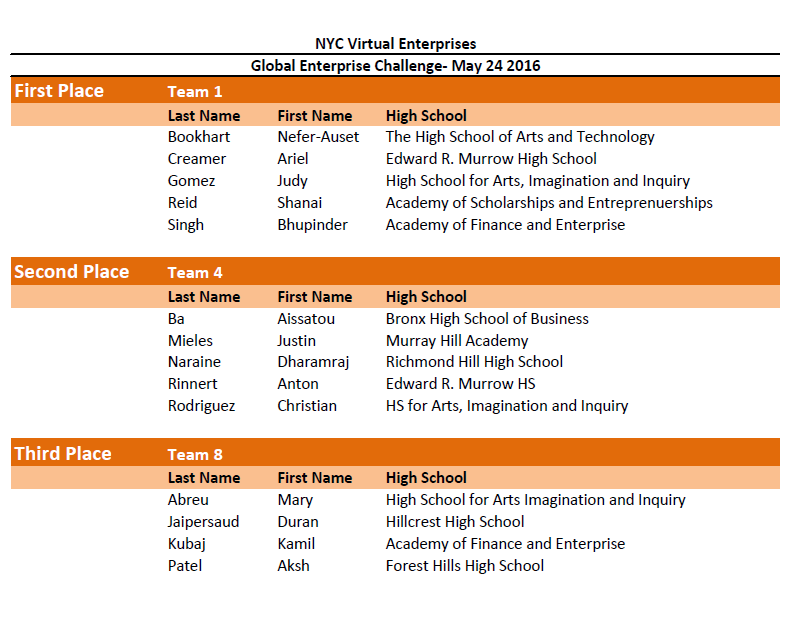 On Tuesday May 24th, 2016, 40 Entrepreneurship students in teams of five participated in the first-ever New York City Global Enterprise Challenge hosted at Microsoft. Inspired by the Practice Enterprise Business Challenge held in Karlsruhe, Germany, students were given two hours to prepare a presentation intended to persuade a panel of judges whether or not to market Bosch eBikes in New York City and/or the surrounding area. 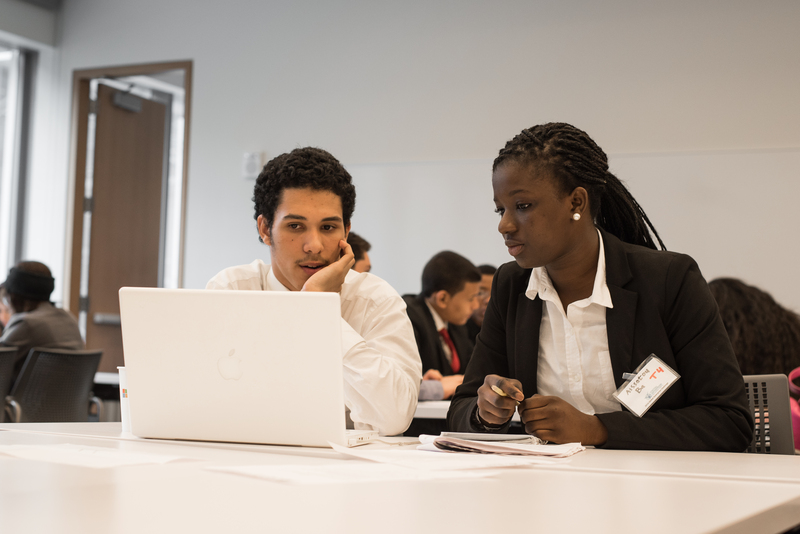 The event provided a great opportunity for high school juniors taking Entrepreneurship classes to hone their research, communication, and time management skills, ahead of taking Virtual Enterprises in their senior years. Prior to the event, students were invited to several workshops at the Science, Industry and Business Library (SIBL), where they learned how to use databases for research. Using these databases, along with articles provided by the NYC VE office, the students gathered relevant information in preparation for the Global Enterprise Challenge. We would also like to highlight some exemplary students who stood out to the judges given their poise, preparedness, and presentation skills. Thank you to the following judges for volunteering their time and talent to help these Entrepreneurship students grow as business professionals.